You Might Be an Optimist. The best days at Online Optimism are when we get another team member just as excited to come to work as we are. At our agency, each day is an opportunity for growth—for our company, our clients, and ourselves. We believe in order to succeed, we must: hire smart, train well, and keep happy. Here’s how we do just that. 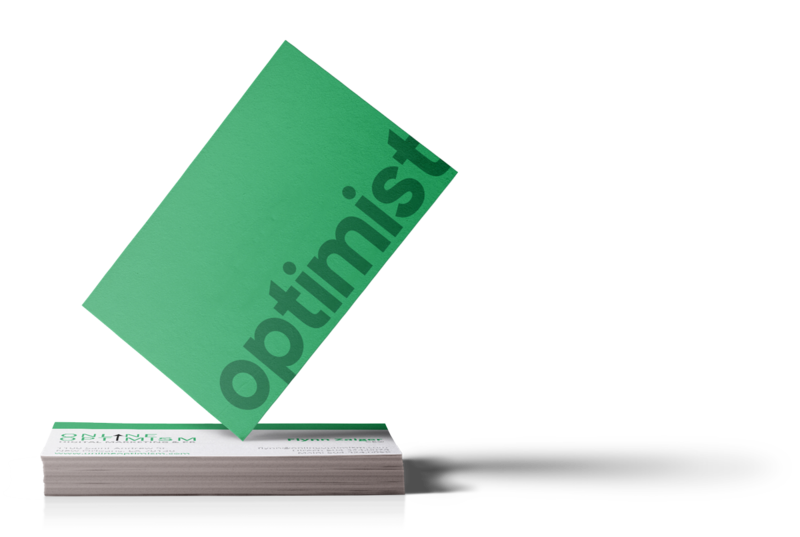 Ready to Be an Optimist? We have no full-time openings at this time. 3 levels of Blue Cross Blue Shield Health Insurance for employees and dependents, 50% covered by Online Optimism—no matter which plan you choose. Blue Cross Blue Shield Dental Insurance for you and dependents, 50% covered by Online Optimism. Vision and Life Insurance, 100% covered by Online Optimism. SIMPLE IRA retirement plans with 3% employer match. Best Place to Work, 3 out of the last 4 years. Don’t just hear it from us. We made it onto the prestigious New Orleans City Business Best Places to Work list in 2015, 2016, and 2018. We took a good, hard look at how companies decide on compensation, and came to the conclusion that pretty much all workers come to: it’s not fair. Your salary at an agency often depends on your ability to negotiate, rather than help our company grow—which can lead to significant cultural problems and wage differences between employees doing equal amounts of work. We set out to create a better path toward fair wages. All Online Optimism staff receive an employee review every 90 days. Not only do we discuss your performance that quarter, and set goals for the next quarter, but we’ll have a frank discussion of your salary. By no means is this a perfect system, but it means a conversation about your pay is dependent on your actual work instead of your reviewer’s mood, luck, and the phase of the moon being just right. Each quarter, we also review Online Optimism’s financials with our entire team. Your career is an investment in Online Optimism, and you should be knowledgeable in how our company is growing so you can understand where your salary is coming from. We will never get in the way of you becoming the best you. If an Optimist ever believes that there’s a better opportunity out there, we wish them the best and hope they stay in touch. Even after all this time? Always. Our office is centered around removing barriers to your comfort. We have a casual dress code, for both us and our office pups. We’re not just dog-friendly, but dog-preferred. Finally, we’ll keep you healthy and never hungry with endless office snacks and drinks. If it’s at Costco, we’ll get it for you. From La Croix to Kombucha, chocolate-covered almonds to Cheez-Its, we’re always happy to stock whatever your favorites are – as long as they’re available in bulk! 13 holidays per year, including Thanksgiving, Black Friday, Christmas Eve, Mardi Gras, Lundi Gras, and recovery-from-Muses-Friday. 15 days of PTO per year, increased to 20 your fifth year of employment. Additional PTO for our social media team (since their job duties include occasional out-of-office monitoring and live events). Financial compensation for any unused PTO at the end of the year. Unlimited sick time. If you’re feeling off for any reason, we want you recovering, not working. There’s also the little things that come with being an Optimist which add up in the long run. We utilize only the latest, top-of-the-line iMacs, Macbook Pros, and Surface Books. Directors are provided with flagship Apple / Android smartphones, unlimited data, and the very important ability to leave the phone on their desk during weekends and vacations. You get an extra half-day on your birthday, as long as you wear a birthday hat. Tiaras are allowed. Every Friday, we go out to a local restaurant for lunch as a team, on Online Optimism’s tab, to celebrate our weekly wins. Remote work options for senior staff. All employees are eligible for commissions on referrals. Staff can work either 8-4, 9-5, or 10-6 — their choice. Annual OOies awards ceremony at Galatoire’s, with trophies for those that earned one throughout the year. We’ll cover the cost of any networking groups or events related to your career, or skills that you want to work on. All of these policies are from a strong belief that our most valuable investment is in our staff. Help Us Make it Better! We invite, and encourage suggestions from our staff on better policies. Unlimited sick days? Flex time? Our cherished OOies? All suggestions brought up during weekly traffic meetings and implemented within two weeks. We’re excited to see what ideas you can bring to the table. We have no current full-time positions available. If you’d like to be notified we post a new opportunity, please fill out the form below.